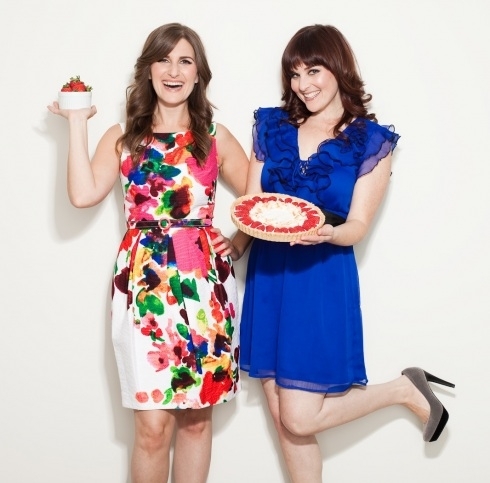 The Spork sisters have been featured in The Los Angeles Times and other leading print publications, and have appeared on television as cooking instructors to the stars. 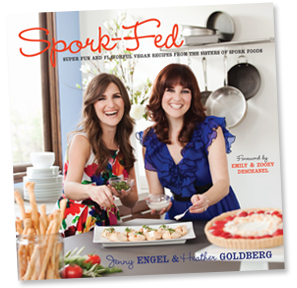 Their first cookbook, Spork-Fed, is currently out in stores with a foreword by fellow sisters and fans, Emily and Zooey Deschanel. Jenny and Heather feel like twins, separated by three years. Jenny trained at the Natural Gourmet Institute for Food and Culinary Arts in New York Cityand has over five years of professional cooking experience. Heather has a decade of business management experience in the environmental non-profit world. They reside in Los Angeles, and take a sister trip every year for inspiration. 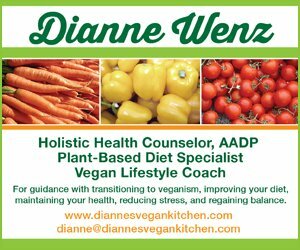 CHIC VEGAN – What motivated you to become vegan and was it an overnight switch or more gradual shift? HEATHER & JENNY – We were both motivated to go vegan in college, while studying Environmental Studies. We first made the connection between our food choices and how leading a non-vegan lifestyle was devastating to the environment. From there we went on to learn even more about how going vegan was also an incredible statement about animal welfare/anti-cruelty and was great for our health while supporting our core ethical beliefs. Jenny went vegetarian in high school and later went vegan in college so it was a bit more gradual for her. Heather dove in overnight in college with her roomie- and our advice to everyone is to go veeg with a buddy if you can, because it makes the transition a lot easier. CV – Tell me a little bit about Spork Foods and what inspired you to create it. 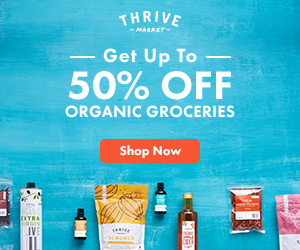 CV – I first heard of Spork Foods through Alicia Silverstone’s website, The Kind Life. 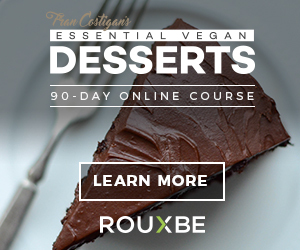 I was really impressed to learn that in addition to traditional vegan cooking classes, you also offer SporkOnline.com as a means for those who are not in your area to take cooking classes from you. How has the response been to SporkOnline.com? H & J – We have been so blown away by the international response to Spork Online! We have members from all over the world who are looking for tools to help them make vegan recipes that are easy to re-create no matter where you live. It has been fun reaching beyond Los Angeles with our online classes because we have connected with like-minded people who are all seeking ways to feed themselves and their families healthy recipes that taste good. We currently have members in Kenya, Japan, Bermuda, all over Canada, Europe and the United States! CV – You just came out with your first cookbook this Fall, Spork-Fed. What was the process of creating a cookbook like? Are there more cookbooks in the works (we hope, we hope!)? H & J – For us, the whole process of creating the cookbook was a wild, fun ride and this project is something we wanted for a long time. We learned a lot through the entire process and we loved creating a book using not only our recipes but our voice. No more cookbooks are in the works at the very moment, but we have tons of other tricks up our sleeves. H & J – The best part about our job is that we get to eat different foods almost every day. Because we’re constantly experimenting with new recipes, fortunately we don’t have too much trouble finding food in the fridge. We’re not really snackers, because we would rather save up the cals for a really great tasting meal. Our new favorite treat, if we do feel snacky, is Coconut Greek Yogurt from So Delicious. This thing is a straight up mind blower. It really hits the spot, especially if you throw in some toasted almonds or pecans. H & J – The vegan dessert options available these days are out of control, in a good way. 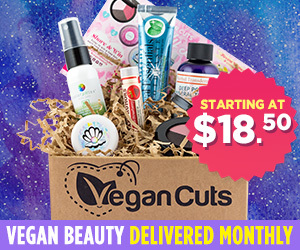 We can satisfy a craving for anything thanks to the incredible amount of ever changing vegan products out there. Our fave indulgence that we make is a Tiramisu (the recipe is in our book), and our family demands this dessert for every Birthday or special occasion. For some reason, if we burn the calories while stirring or chopping while making a dessert, the guilt is gone. H & J – Ah, we get all of the classics, like “Where do you get your protein?” or other more fun questions like “Do you faint?” but we answer all of the questions with a smile and just say that we’re doing fine and “No, we’ve never fainted and we don’t really know where you heard that weird rumor.” If someone seems genuinely interested in learning more about veganism, we try to pick up on that and engage them in a conversation about what is really in the foods on market shelves, or we discuss why we made this decision and see if it resonates with them. But if someone just wants to be combative, we don’t really pursue the convo because there are better ways to spend our time – like cooking in the kitchen! H & J – Funny you should ask because we have a slight addiction to the new Galaxy Nutritional Foods vegan cream cheese. It is so great on toast, and in our cheesecakes that we hope they make it forever. H & J – That is a fantastic question and super fun to think about! In 5 years, we want our business to grow and succeed, of course, while making the world a better place on a multitude of levels. Though we aren’t ready to fully disclose our specific business ventures, the bottom line is if we still work together every day, side by side, eating lunch together and sneaking off to a film at noon every once in awhile- they our wildest dreams will have come true. Check out the Spork Sister’s Youtube page by clicking HERE.